When Jack Rebney was filming his Winnebago commercial in 1988, he never dreamed he'd become an Internet sensation. How could he have? It was 1988, and Al Gore hadn't yet invented the damn thing. But now he's gone from viral video star to the subject of a documentary. During his two-week shoot to promote Winnebago's 1989 Itasca Sunflye, Rebney would often stumble over his words and trip into a string of four-letter epithets that would make a sailor blush. The crew eventually compiled a VHS compilation they called "Winnebago Man" and began passing it around. 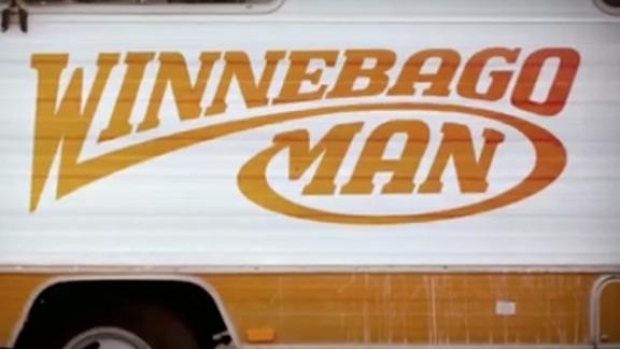 The advent of YouTube years later made "Winnebago Man" a legend, with his opus generating millions of views. Conan O'Brien chose "Winnebago Man" last week as one of his favorite YouTube videos of all time as part of the sites fifth anniversary celebration. "I became fascinated that millions of people were watching this man, yet no one knew anything about him," director Ben Steinbauer told Boing Boing. "I learned that his name was Jack Rebney, and I eventually hired a private investigator to find out if he was still alive. It turns out that Rebney had been living alone on top of a mountain for more than 15 years, and until recently he had no idea about his online fame or that the outtakes even existed. And that's when the real story began." "Winnebago Man" hits theaters July 9.